Applications International Corporation (‘AIC’) is proud to bring you another round of system enhancements! As always these enhancements are available to you immediately (no download needed) and at no additional cost! Details below, enjoy! NEW Mobile App: Event Mobile App is Now LIVE! 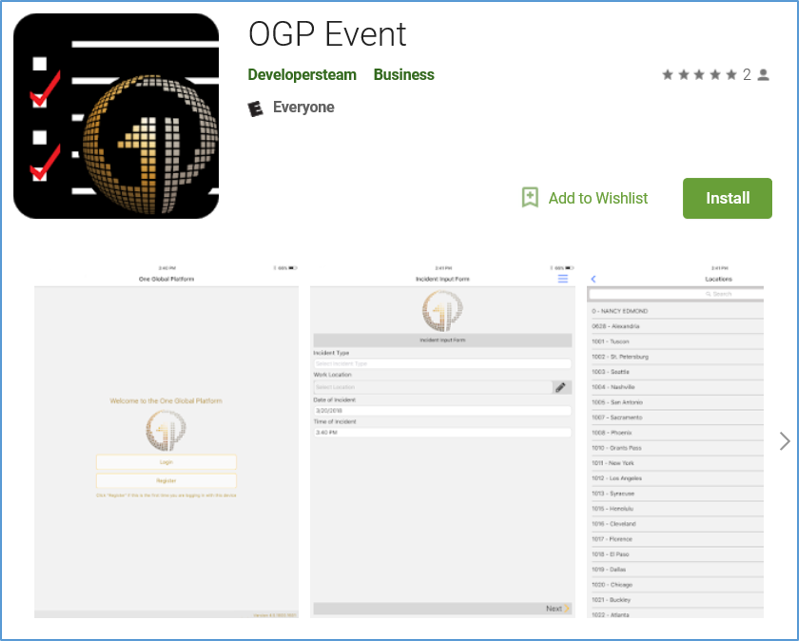 The OGP Event Mobile App allows you and your team to enter an Event within any of your incident modules! The app supports both Online access (connected to WIFI or cellular connection) and Offline access (without WIFI or cellular connection) on both Apple and Android devices. Please reach out to the AICSupport Team (aicsupport@appsint.com) if you have any questions, or would like to setup a one-on-one training session!